Flagstaff is a beautiful mountain gem nestled in the warm embrace of the world’s largest Ponderosa Pine forest and the towering San Francisco Peaks. It sits on the southern margin of the Colorado Plateau and it is an iconic representation of a town along Route 66 in the heart of the Southwest. Flagstaff has a rich, unique and interesting history and our goal here at Enjoy Flagstaff is to share it with you! On our historical tours, we will take you on a journey back in time and we will soar through the ages that created the northern Arizona town that we love today. Just a few of the topics we explore are ancient seas, volcanoes, ancient and modern cultures, American settlers, and early industry. Our tours are great for travelers and locals that have a sense of wonder and want to use this sense to develop a connection to place. 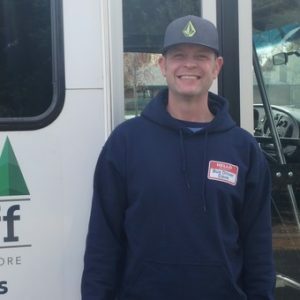 Our goal for you, as a guest on one of Flagstaff tours, is to provide a fun and informational experience that leaves you with a greater sense of connection to Flagstaff. Are you ready to experience Flagstaff like a local? Book Your Flagstaff Tour Today! 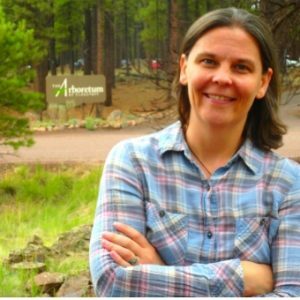 Born and raised in Flagstaff, a graduate of NAU with a degree in Chemistry, and a student of the Colorado Plateau, I have seen our town grow from modest roots into the bustling city of today. With this new growth comes a new generation of visitors, students and residents. As this new generation arrives, we feel a deep sense of responsibility to spread the feeling of love for Flagstaff and the surrounding area that we do. This is why my brother and I created Enjoy Flagstaff Tours. We want you to feel this connection! When we really take the time to pay attention to our surroundings, to learn even just one interesting thing about an area, a new sense of connection almost inevitably appears. From this connection, a newfound sense of care and respect can develop. Our eyes become open to the wonder of a place. Our mission with every tour, is to spark that sense of wonder in our guests. The spark that ultimately leads to connection: to Flagstaff, to anywhere we visit along our paths, and to the world as a whole. We can’t wait to have you with us and to help you experience Flagstaff!